Not everyone powers their homes with solar panels, but if you want to get off the grid, it’s the way to go. Check out the best way to live with solar panels. Did you know that the average American family spends close to $1,500 a year on electricity? This is not necessarily surprising, since we rely on electricity for many modern conveniences, ranging from lighting, to appliances, to our cell phones. But what if you could save on your electricity costs without having to cut back on your electricity? By making the transition to live with solar panels, you may be able to do just that. Interested? We have the details here on how you can go off the grid, save on utility bills, and help the environment by switching to solar. Before you can switch over to solar energy, it’s important to know how much electricity your home uses. This will help you evaluate how much energy you will need to be able to generate with solar panels. You can easily determine how many kilowatt hours you use per month by looking at your electric bill. That said, if your current usage is high, you should look for ways to cut back before switching. Easy ways to do this include updating old appliances, installing energy efficient bulbs, and cutting down on heating and cooling. Unfortunately, not every home is a good candidate for solar energy. If you live in a shaded area, or your neighborhood doesn’t get much direct sunlight, you may not have the ability to power your home with solar alone. If your home does not have high enough solar potential to power the whole home, you can consider partial options. For instance, using solar panels just for your hot water heater can be a good option. Once you’ve determined that your home is ready for solar, it’s time to consider options for installing solar panels. If you are using solar to power your entire home, installation can be expensive, ranging from $5-$10,000. Luckily, there are options for installation that are more affordable. For instance, you can consider a solar lease. With these arrangements, a company installs solar panels on your roof and retains ownership of them. In return, any excess energy the panels generate goes back to the company. Or, you can look for companies that offer a discount or wholesale solar panels. Online retailers like 4WD Supacentre offer high-quality equipment at an affordable price. 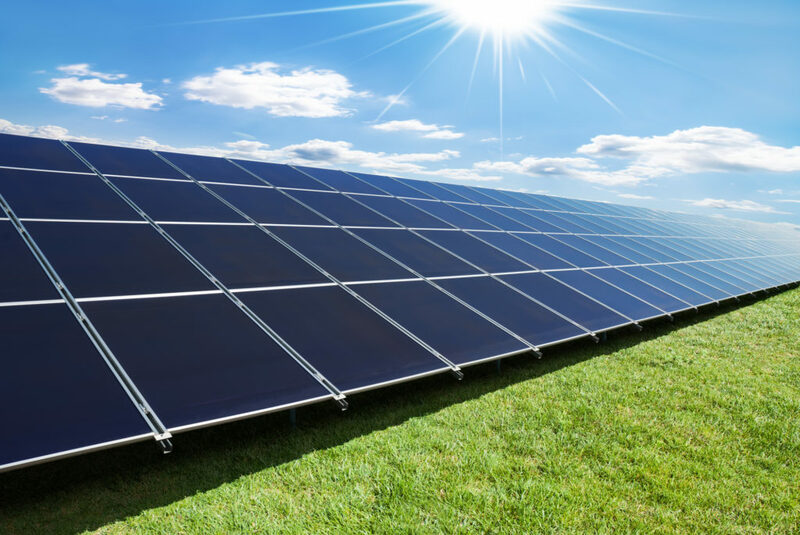 If you do decide to purchase solar panels, you may be eligible for a tax credit from the federal government. This benefit can make the cost more manageable. With these tips in hand, you will be ready to live with solar panels to get your electricity. Have you switched to solar panels? What strategies have you used? If you’ve grown tired of your home’s current look and are in need of a little interior decorating inspiration, continue reading to discover a wide array of fun decorating tips from Umberto de Pretto, which you may be interested in trying out. If you’re looking to add a pop of color to your sofa, you don’t need to fork out hundreds or thousands of dollars on a new sofa, instead purchase a variety of bright colored cushions, which you can swap regularly, in order to change your room’s color scheme slightly. Alternatively, you might want to invest in purchasing new covers for your existing cushions. As often cushion covers are a fraction of the price of normal cushions. If your lounge features hard wood floors, which may be cold to walk on during winter, you may want to consider purchasing a decorative rug, to cover a large portion of your lounge’s flooring. Just make sure to pick out a rug, which compliments your home’s decor. As an example, if your home’s decor is inspired by international travel, you may want to purchase a traditional Turkish rug, whilst if your home has a more modern vibe, you may want to opt for a shaggy, textured rug. You can also use a stylish rug to dress up your home office or bedroom. As an added bonus, rugs help protect your hard wood floors or carpet. One way to ensure that your home is an inviting space to spend time is to get into the habit of displaying gorgeous fresh flowers. So it’s well worth investing in a high-quality vase, which you can use to display your flowers on a regular basis. As an example, you may want to place a vase fill of fresh flowers on your bedside table or on your coffee table. As a handy tip, if you don’t want to pay a small fortune in order to purchase flowers from a florist on a regular basis, it’s well worth growing your own flowers, if you have a decent sized back yard. If you’re looking for a quick, easy way to make your living spaces look larger, you may want to consider placing large mirrors up in your lounge, bathroom and bedroom as mirrors create the illusion, that spaces are larger than they actually are. If you’re looking to transform the look of old mirrors, simply use a gold spray paint in order to turn your tired looking mirrors into chic, on trend mirrors, which are bound to attract a myriad of compliments. As an example, if you opt for a blue and white, nautical themed color scheme, you may want to pick out decorations such as vases, pillows and rugs in slightly different hues of blue. Instead of picking out decorations which are all the exact same shade of blue. So if you’re interested in redecorating your home’s interior, it’s well worth following the 5 interior decorating tips listed above. Electrical problems in your home can be a cause of frustration and even anger. Electricity is one of the most important services that your home receives. It Powers all of your appliances, and keeps your house cool during the summer and warm during the winters. When there is an electrical problem there is usually a simple fix. Most times a circuit or fuse is the cause of the problem and can be fixed by the homeowner. However anything more complicated or more difficult than that will certainly require a professional. This is because electricity is so dangerous and can cause harm or even death. If you must call a professional to fix an electrical problem in your home be prepared to pay handsomely. Electrical contractors typically charge between $75 and $150 an hour for service, and more experienced contractors in New York City, NY like Sandy Petrocelli can charge more. They will also charge a minimum fee for visiting your home which means that no job will be less than there hourly fee. Although you cannot avoid entirely eliminating the need for an electrician, there are some things that you can do around your home that can minimize the need for one. Who are few ideas help you save money on electrician cost in 2018. Wiring and circuits. 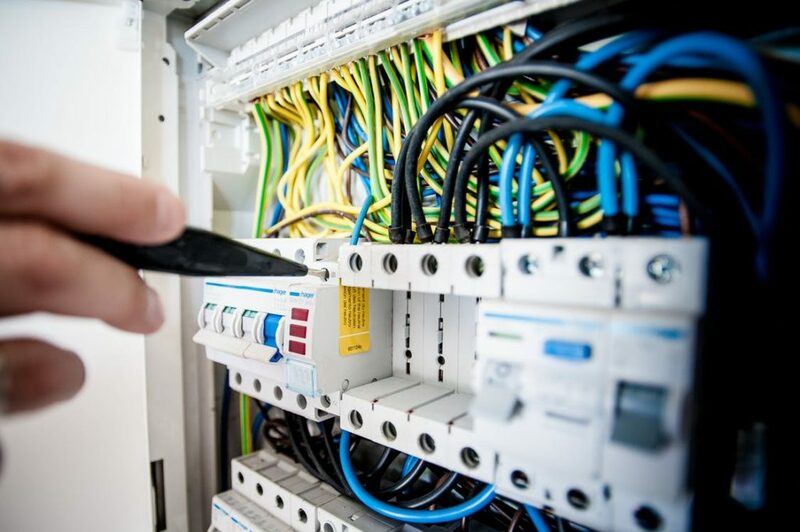 For the most part it should run smoothly with no problems because the system is electrical however it will be some parts that wear out over time and because electrical current is often Inconsistent going into the home, electrical surges can also cause damage to the system. However, your electrical system should perform consistently. If it does not, it is probably indicating that there’s a problem. For example if voltage is inconsistent from your electrical panel and into your home, it could mean there’s a problem and you need to call and electrician. If you see smoke or smell an electrical burning from your electrical panel, or any of the electrical boxes around your home, this is an indication that there is a problem somewhere in the system. You should shut down the electricity in your home, and call a professional. Remember, electrical issues are not typically DIY. Be safe and careful and call a professional electrician to assess the problem and fix things. Nothing explodes, they can continue plugging things into the same outlet. Electrical outlets are only designed to accommodate the amount of wall plugs that they have. If there are two, you should not try to plug in 6 different appliances. This will create a fire hazard and endanger you, your family and your home. Instead plug the different appliances into different wall outlets. If they cannot reach, use an extension cord. Many electrical issues have happened within the home because end appliance was not serviced regularly major appliances like HVAC units, electric stoves, and Jacuzzi tubs need to be serviced regularly so that they do not have problems with the electrical systems that go unnoticed. Each major electrical Appliance we’ll have a service schedule clearly visible. You should keep this schedule handy and understand that if you cannot remember the last time that Appliance was serviced, it is probably overdue for service. If you or someone in your family suffers from an allergy, you’re not alone – more than half of Americans have some form of allergy, and some of the most common causes are right under your nose. 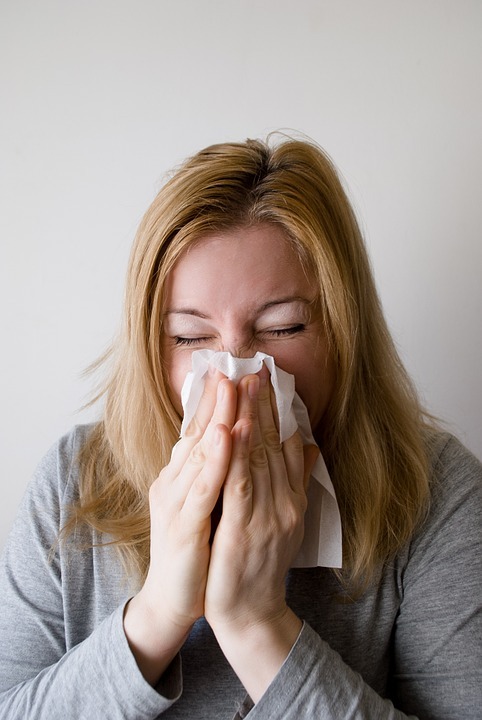 Dust, molds, and pets are all key factors in provoking allergic reactions, and can make your life a misery if you experience a runny nose, stuffed airways and streaming eyes that typically arise. If you’re living with the enemy, what are the best ways of avoiding an allergic response? Your household allergy nemesis, impossible to avoid because the chief component of dust is skin particles that you cannot avoid shedding. Basic cleaning routines that keep dust under control are a must, but the chief source of allergy provoking dust is a tiny insect that shares your bed. Dust mites live on your old skin cells and make their home in bedding, pillows, soft furnishings and carpets. The problem is not the mites themselves, it’s what they excrete that makes you sneeze. To tackle these unwelcome guests, remove as much of their habitat as you can by getting rid of carpets and soft furnishings, using hypoallergenic covers on your bed and regularly wash your bedding. To keep the dust under control on a daily basis, invest in a mattress vacuum from a specialist supplier like pickvacuumcleaner.com. It’s easier to deal with than dust, as you can see where it’s growing and get rid of it straight away. Kitchens and bathrooms are prime locations for mold and mildew growth because they are subjected to higher levels of moisture from showering and cooking. Good ventilation will help by allowing steam to escape, so fans and extractors will effectively reduce the moisture content of the room. Keep surfaces clean and dry and check for molds every week. You should also keep an eye on your walls in case your house develops leaks or condensation problems, as these can start so inconspicuously you may not realize there’s a problem until it becomes serious. If you have a problem with damp in the home, a dehumidifier will help by extracting moisture from the air. Pets can cause allergy attacks because they shed hair and skin cells just the same as we do. Keeping the house clean and vacuuming regularly will help to keep the dander to a minimum, and using machines with HEPA filters will be even more effective. Keep pets out of your bedroom and wash their beds and blankets frequently. If you have severe allergies pets are probably not a good idea – although there are hypoallergenic cat breeds that you may be able to tolerate. If you do everything you can to reduce the allergens in your home, you’ll find it easier to sleep and your home will become your refuge again, instead of being a cause of your problems. It’s a good idea to keep allergy prevention and treatment medications like anti-histamine on hand for flare-ups, but if you do find that despite your efforts your symptoms don’t improve, you should get a checkup from your doctor to see if there is another underlying cause. When a New Year rolls around, people always make resolutions that they likely break after a few months or so. One of the most common resolutions that people make is “getting healthy” or “losing weight”. 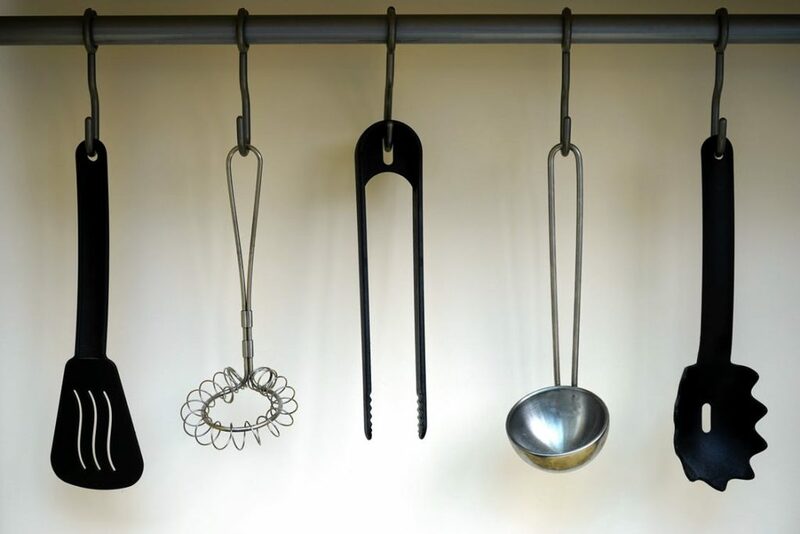 However, if you don’t have the right tools in the kitchen, you’ll likely revert back to your old eating habits. Take out, fast food—the more convenient options. This New Year, celebrate a fitter and better you with new kitchenware that will help you achieve your fitness and weight goals. All from Weight Watchers, these tools will keep your diet in check throughout the year. But first, what is Weight Watchers? The basic concept of Weight Watchers lies on community and accountability. With Weight Watchers, you are encouraged to eat healthy and exercise regularly by similar folks who have the same goals as you. By subscribing as a member, you get access to the Weight Watchers app, their recipe book and meal plans, activity plans and fitness tracker, a 24/7 support from their coaches, and access to the online Weight Watchers community where you can meet great people who will be with you through your journey. With celebrity endorsers and members such as Oprah, Weight Watchers have gained a reputable name in terms of promoting a healthy lifestyle. Over the years, Weight Watchers have begun producing kitchenware that helps their members stay on a healthy diet. These tools include an air fryer, a three-tier steamer, and a fold-out grill. The Weight Watchers Compact Air Fryer is a healthier way of cooking your favourite guilty foods—but without the guilt. You can enjoy eating your sweet potato fries and fried chicken with a much lower fat content, so your calorie count won’t be ruined. As the name suggests, this kitchenware is compact, which makes it perfect for those who live in apartments with limited counter and cabinet space. It also comes with a non-stick removable frying basket that is easy to clean. With the Weight Watchers Compact Air Fryer, you’ll also get a few recipes to try. If air frying still sounds guilty, why not shift to steaming? The Weight Watchers Three-Tiered Steamer allows you to cook food with no oil at all. It comes with collapsible tiers and three steamer baskets that you can use to cook three different meals at the same time. The collapsible tiers also allow you to easily store the steamer inside your kitchen cabinet. Like the air fryer, the Weight Watchers Three-Tiered Steamer comes with a few recipes that you can try at home. The Weight Watchers Fold-Out Health Grill lets you cook your favourite meals already portion-controlled. It has five versatile cooking surfaces (two flat, two recessed for eggs or crepe, and one griddle) and a detachable marble non-stick grill plate that’s easy to clean. It also has a fat drain and a drip tray to minimize the fat you’re cooking with. You will also get a few recipes that you can cook at home with this tool. So, what are you waiting for? Join the Weight Watchers community and be motivated to control the diet by cooking food with the new kitchenware. itchenware. With these tools, you can start working towards your weight and fitness goals. Having a beautiful home is not an easy job. It takes time, money, and attention to detail and unless you have all three in abundance, then it’s just not that simple. The problem is that most people hardly have one in abundance, much less all three. This means that in order to have a beautiful home, you will probably need to borrow some money, or take it out of your savings, and hire some experts to help you get the look you desire. So let’s assume that you can find the money you need in order to make home improvements, and that you hire a reputable set of professionals to help you achieve the look you want. What are some of the best areas to focus on in order to create a beautiful home? Perhaps the most understated elements of a beautiful home are the placement, size, and style of its windows. Windows fulfill many functions in a home. In addition to their providing access to the outside world, sunlight which makes everything look more beautiful, and an ability to allow outside air to flow in and through the home, feel so make a statement about your style, and definition of beauty. Windows range from the very plain to the extraordinarily elegant. They can amplify the beauty of the exterior of a home, while doing the same and even more for the interior of a home. If you work with a contractor and a designer they will appreciate how to pick windows that fulfill every function. They can purchase these types of windows add companies like Community Builders Tulsa, who provide a range of quality and pricing of windows for every room in your home. You can select windows that fit your need from a standpoint of size, shape and functionality. These of course include sliding doors, which I mostly glass and can go a long way to setting the mood in any room you use them. The front door is typically the first thing about a house that someone examines closely. When you choose to purchase a high-quality front door, it sets an amazing precedent for what is coming next. 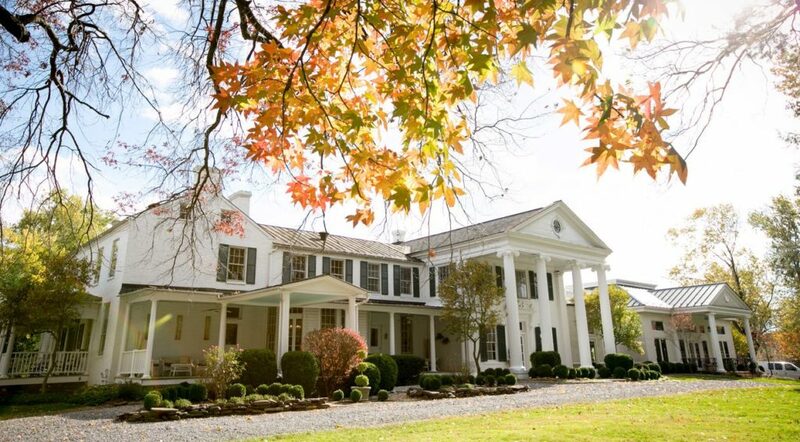 These days, front doors are a focus item when discussing beautiful homes. They range from doors made of various materials including wood, metal, and glass, and there’s an option to have one or two doors on your home. Consider investing in a high-end door, because it will make anything behind it look more beautiful. 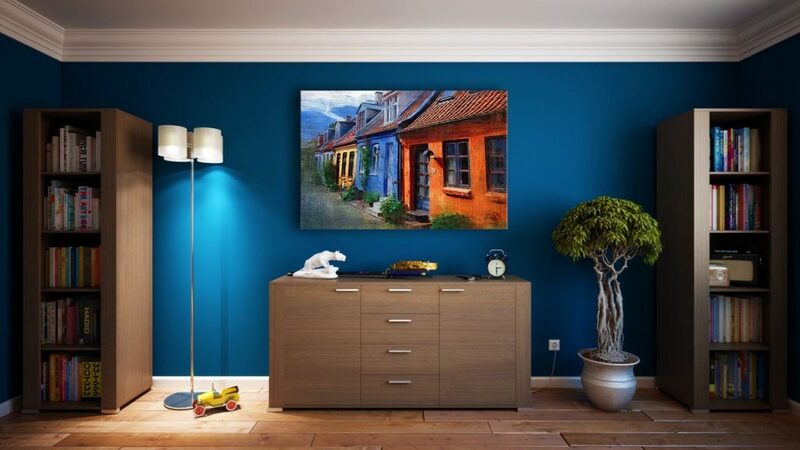 If you have ever been in a home that has beautiful artwork, then you know how important this feature is. Artwork including paintings, sculpture, and other hand created Works, give a homeowner a chance to show their own unique style, and parts of their personality. People typically take lots of time together artwork and it says 2 visitors that the homeowner is interested and making a statement. So the time you take to locate and put up artwork in your home will be paid back many times over, from the beauty it creates, and the compliments you receive. These details are often overlooked when people think about how to make their home beautiful. 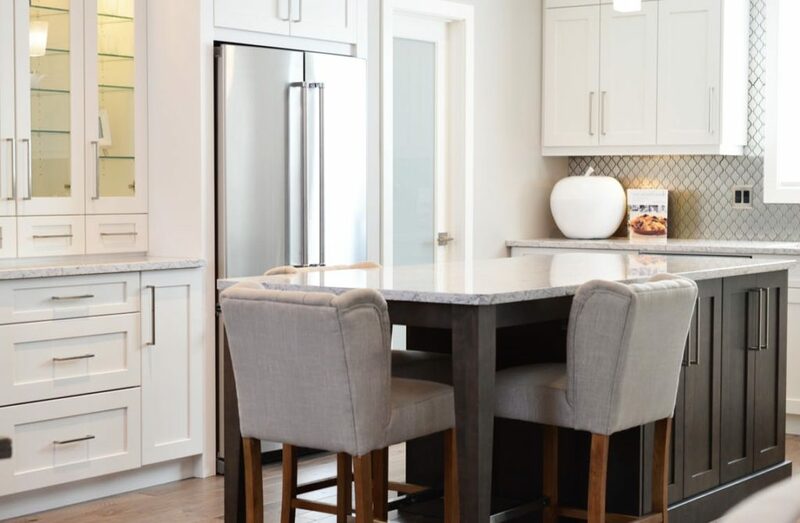 They won’t replace a remodeled kitchen, or addition of a new room, but they will make the difference between something that looks nice and something that looks amazing. Because the majority of people live on a pretty tight budget, unexpected expenses can really throw your finances out of whack. As a homeowner, there are often unexpected expenses that seem to show up on a fairly regular basis. Here we’ll take a look at some simple kitchen appliance issues that most people can fix on their own, which will save them from having to call on the expensive repair person each and every time. If you own a garbage disposal unit then there is a chance you’ve encountered issues before, or perhaps are going through it right now. A common complaint is a unit that makes a humming noise when it is turned on rather than doing what it should. According to the Mr Garbage Disposal website, this is a very easy DIY fix that only requires an Allen wrench. If you look closely, the odds are high that your unit has an Allen wrench attached to it. This humming sound usually means there is something jammed in the unit, which needs to be dislodged. You can unplug the unit, inspect the drain hole, and remove anything that is clogging it up. When a refrigerator stops working, it is a pretty big deal. The longer it doesn’t work, the higher the odds of the food inside becoming spoiled. It is recommended that the first thing you do is check the coils for a build-up of pet hair if you have pets. This can cause the compressor to overheat, which will engage the overload switch. Even if you don’t have pets, dust and dirt can start to clog up the coil over time, so this is still something you’ll want to look at. In order to ensure the coil is clean, use a special coil cleaning brush and finish by vacuuming it. The dishwasher is among the most-used kitchen appliances, which means when it stops working there is a whole lot of chaos caused. If you are running the cycle on your dishwasher and nothing is being cleaned, it could be that the food filter is the culprit. The first place to start is with the spray arms. Examine them for any clogs, and then give them a good cleaning. These spray arms can actually be removed and soaked in white vinegar for a deep cleaning. Next clean the inside of the actual dishwasher so that you’re starting with a clean surface. This includes emptying out the food filter, which can become clogged over time. The last step is to get rid of scale build-up that can affect how well the dishwasher cleans. While many issues you can tackle on your own, it’s still good to know when you’re in over your head. Admitting that the repair is too confusing, difficult, or even dangerous for you can likely end up saving you money in the end. Call in the repair person to do it right from the start and save yourself a lot of time and hassle. Losing mobility in your own home is like losing your independence. Nobody wants to sell their family home with a lifetime of memories and move into a more convenient single-storied property just because we find it easier to get around. 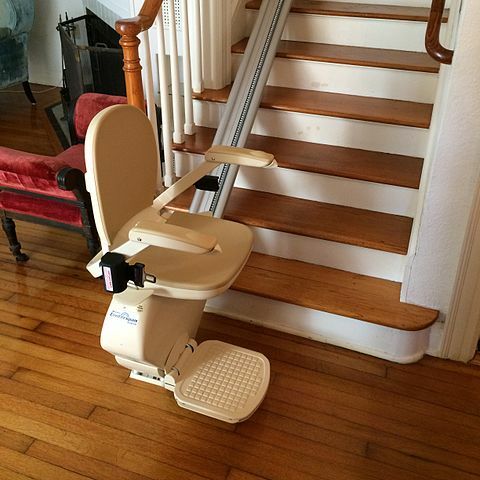 Instead, investing in a stair lift or even find a reconditioned one can greatly improve your quality of life. Not sure if you need one? Read the following points and if they describe your situation, you’ll benefit from getting one. We start to feel more aches and pains with even the most minimal of exertions as we get older, which lowers our well-being and quality of life. Getting up and down the stairs, especially to the toilet, is a burden for even the more active of us. If you or a loved one is feeling frail and complains of the challenges of using the stairs, it may be a good time to find a chairlift. This is a major sign that you’re losing mobility and confidence in your own abilities, particularly if the only way out is a set of outdoor steps. Your health and safety are of paramount importance and falling could mean a lengthy spell in hospital, or worse. Rather than getting a handrail or some other form to assist getting up and down, a chair lift is the safest and most stable option. Any form of physical exertion increases our heart rate to pump oxygen around the body. Climbing the stairs in a two-storied home needs a fair bit of exertion for even the younger folks, some of which find themselves out of breath when they reach the top. This is magnified in the elderly when they’re not as strong as they once were. Anyone who feels short of breath or dizzy could be placing themselves in danger every day. All it takes is to lose a footing and an almost inevitable fall follows. When we start to forget things, the risk of forgetting something important such as switching off the gas or locking the front door at bedtime increases. This could lead to a scenario where you’re in a rush to get down the stairs making it more likely for a fall. And sometimes forgetfulness leads to an emergency. If you’re a little immobile, how can you get down the stairs quickly? If you need to rely on family members, the last thing you want to do is to ask for help for the minor things. A chairlift gives you more independence around the home and means you don’t have to keep asking your family for help. Seniors deserve to have a high quality of life despite losing their mobility. Investing in a chairlift will make you feel more independent around your own home and increase your confidence in daily activities. Throughout the year, few of us give much thought to how our garden looks and the money that we could spend of this area of the house is always better being spent indoors rather than out. In spite of this, when the summer months come around and we actually have an opportunity to sit out in the garden, most of us bemoan the fact that we have not invested any time and money into making it look great. Investing heavily in the garden is not always worth it however, even during the summer months and the best way to go about things is to give your garden a budget makeover, and here is how. Most gardens are probably not that bad, they just need some TLC and the first thing that you should be doing as part of your makeover is to tidy up the garden and get rid of all the dead plants and weeds that have taken over your garden. If you have border in the garden then re-dig them so that they are visible and you will find that after a day or two of hard work, the garden will already look better. 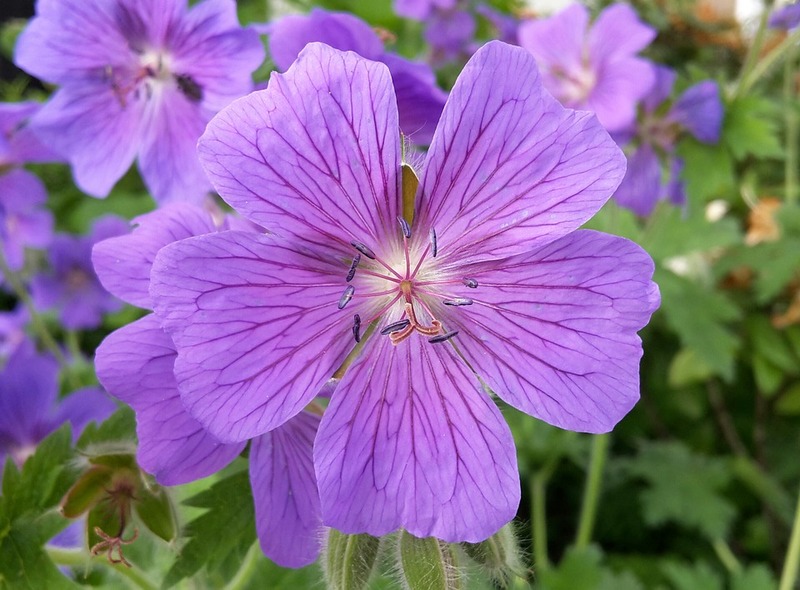 If you are not green fingered then the best course of action is to create a low maintenance garden, if you plan on having plants then put them in pots rather than a high-maintenance flower bed. Equally you should be looking to have just a small, grassy area and cover the rest in stones. Avoid going to the hardware store for these and instead go to a stonemakers where they will give you a great price on chipped stones which you can use to cover the garden. Give your garden the professional touch without paying the professional price with some simple yet effective and ornate decorations. A great tip here is to use old pieces of metal in the garden such as pots and pans, old bicycles or even car spokes to add an artistic element to your garden space. The rusting metal juxtaposes perfectly with the fresh and natural garden and you can really wow your guests without breaking the budget. You should be looking to have no dead space in the garden and maximise all corner of it with seats, decorations or even grassy areas. If you have a small garden then you can use things like mirrors in the garden which can be picked up at low prices, a mirror will give the appearance of a larger garden and also add a nice decorative touch to the area. The key to doing your garden on a budget is to keep things simple, clean and tidy. Gardens look worse when they are unkept and there are plants and shrubs growing all over the place. Put the work in to tidy up, add a few nice touches and hey presto, you will have a garden to be proud of. 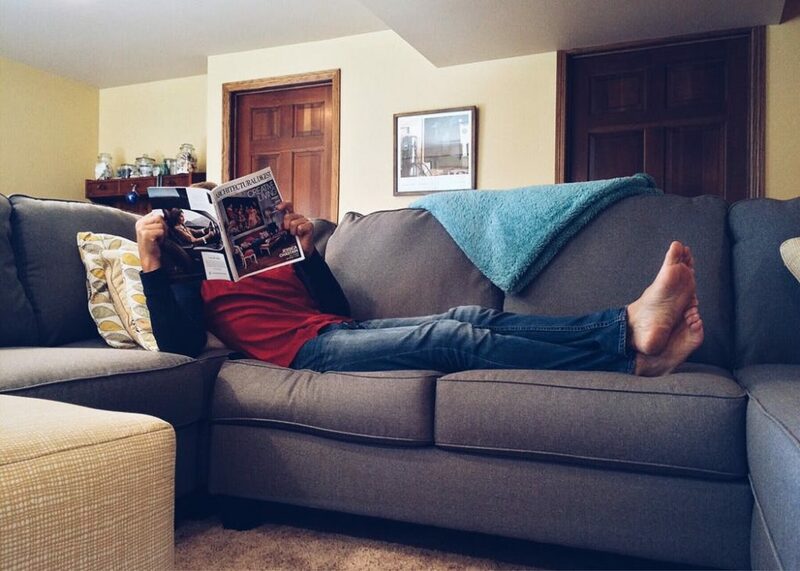 Becoming a homeowner is much like becoming your own boss. You don’t have to ask for permission to paint your walls a particular color and you don’t need to notify the rental office when you plan to have overnight guests. Of course, homeownership doesn’t come free, but you’re likely to get more leniency from your mortgage company for being a few days late than a landlord. At the same time, you don’t want to buy a home that comes with a 30 year mortgage for the sole purpose of being in complete control of your current housing. With spacious duplexes for rent and cheap efficiencies available for short and long-term leases, you can get exactly what you need in a rental while waiting for the perfect opportunity to buy. It could be six months until you’ve ready to purchase a home or six more years before you’re ready to begin working on improving your credit profile. Even if have the money to buy, waiting could be the better choice in your situation. Often called housing bubbles, this is when property values are higher than they are expected to be in the near future. A home that is purchased for $200,000 might only be worth $150,000 in a year if and when the market slumps. Buying a home during a real estate bubble is bad for buyers for multiple reasons. First, you will be buying a home with fewer bedrooms, bathrooms, features, and amenities at a higher value than it is actually worth. Second, your mortgage is guaranteed to stay underwater for years after it is appraised for less than what you purchased it for. Lastly, if you buy a house during a housing bubble you will not get a good return if you attempt to sell it. There are mortgage programs that allow buyers to put very little money down on their homes. On one hand being able to buy a house without a down payment might be something that is beneficial to a limited number of people. If you don’t live in an area that traditionally has many rentals, buying a home makes sense if you want to live in an exclusive spot. Another fact that should be considered is that buying a home with little money in the bank probably means that you have issues with budgeting. Renting could help you to work out your financial problems and teach you how to spend responsibly so that saving isn’t troublesome for you. No matter what stage you are in your life now, things can always change sooner than expected. If you’re single, the right guy or girl could be just about to enter your life. Married couples with children could become grandparents several times over in just the span of a year, while lifelong bachelors might decide to become the owner of a dozen pets. Giving yourself a bit more time to think about where you’re going in life can be helpful before you make a major decision and purchase a home. You can buy a house and then turn right around and sell it, but most new homeowners purchase property for the purpose of making it their permanent, long-term residence. If you want to buy real estate but you can’t settle on the type of home you desire to live in, the neighborhood, or the price don’t make a decision that can’t be undone easily. Just wait a little longer and you will know when it is the right time to own.